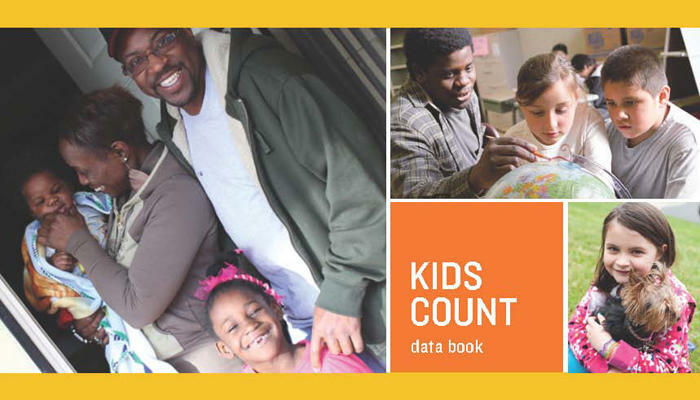 The Annie E. Casey Foundation's annual Kids Count Data Book is one of the best resources for tracking how our kids are doing in the U.S., and for tracking how different states stack up.
" I think this is a very damning report, quite frankly." Despite that assessment, there is some good news in the Data Book. Michigan ranks 4th best in the nation for childhood health care coverage. Ninety-six percent of Michigan's kids have some form of coverage. But overall, Michigan is below average on most indicators of child well-being included in the report. Twenty-three percent of Michigan's children live in poverty. Thirty-seven percent live in homes where parents don't have secure, year-round employment. There are even more troubling numbers in education. Almost 7 in 10 Michigan 4th graders are not "proficient" in reading. The same is true for 8th graders and math. I'll admit, my eyes popped when I read those statistics. I was somewhat relieved to find there is an active debate about how the federal government defines "proficiency." But, however you define it, Michigan is still below average on those test scores, and that's nothing to cheer about. Even worse, Michigan started the last decade above average on most federal education measures. Data from the National Center for Education Statistics shows Michigan dropping below average on 4th grade reading and math. Eighth grade math scores have also dropped below the national average, while 8th grade reading scores remain slightly above average. This is just one of the reasons Jane Zehnder-Merrell of the Michigan League for Human Services is so disappointed by the latest Kids Count Data Book. The statistics on education are unsettling, but they're not unique in Michigan. Zehnder-Merrell says on 10 of the 16 measures in the Data Book report, Michigan is "either stagnating or moving in the wrong direction." In the meantime, other states have been pulling ahead. And this is what's most alarming about the latest Kids Count Data Book: Michigan is falling behind other states when it comes to taking care of our children. In the 2005 Data Book, Michigan's overall rank was 25th. In the Data Book released yesterday, Michigan ranks 32nd. Our state has dropped seven spots in seven years. When will it turn around?